Being the third child means always wanting to keep up with your siblings. Finn may have been placid as a newborn, but as a toddler he is raring to go, desperate to be as big as his brothers, convinced he can climb as high, run as fast and jump as high. When we go to the park, the big two usually take their scooters, they whizz around and race down the paths and Finn has been desperate to join in. 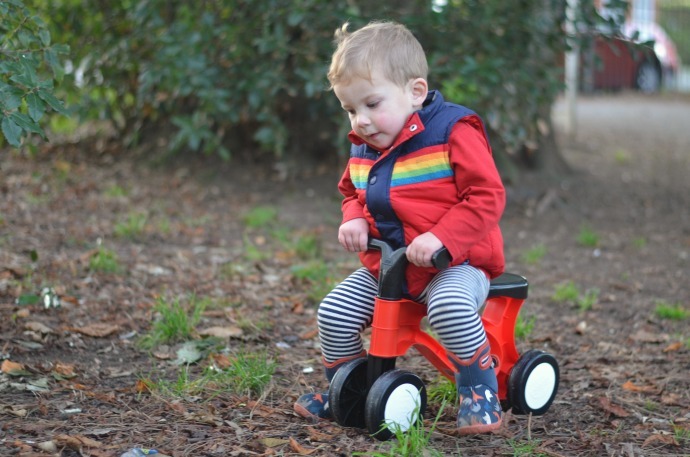 He was recently sent a Toddlebike 2 and he absolutely loves it. 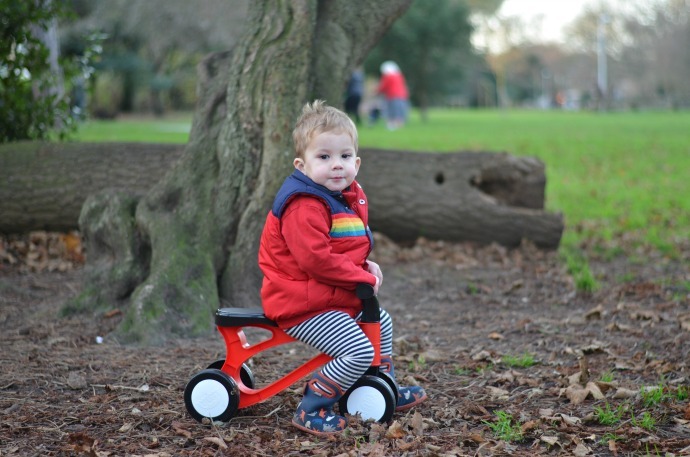 It is so incredibly lightweight (it weighs less than 1kg), suitable from when a child is walking confidently and helps prepare them for a balance bike. It is light enough to pop it in the basket of the buggy when we go out and it means Finn can race around with his brothers and feel like one of the 'big boys'. At 21 months he is building up more speed, but he still sits on the crossbar rather than the seat. 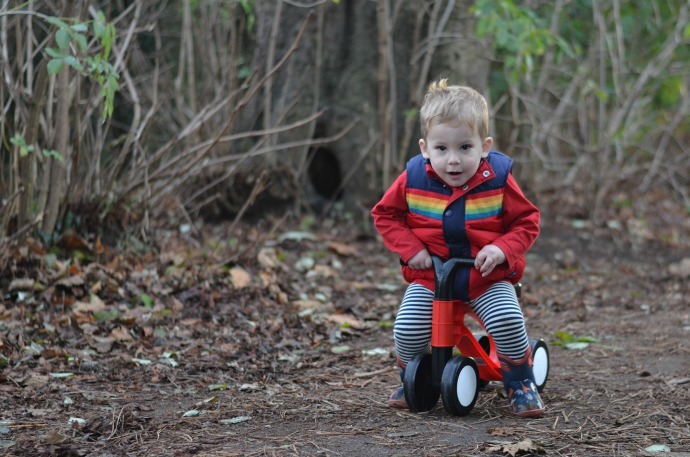 Thanks to Toddlebike for sending Finn his first bike, he loves it!